Establishment, Maintenance of Phlebotomus spp. 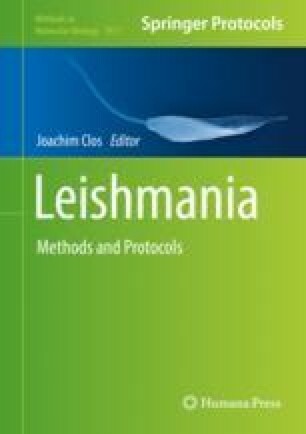 in the Laboratory, and Infection with Leishmania spp. Sand fly colonies are of major importance for experimental studies on biology, behavior, vector competence, relationship with Leishmania parasites, and vector control. This chapter is intended to provide methods and techniques used to initiate, establish, and maintain sand fly colonies. Details on collecting sand flies for colonization, colony initiation, maintenance, and experimental infection of Phlebotomus spp. with Leishmania spp. are reported.